Paul Simon, one of pop music's most respected tunesmiths, performs at the Arena on Friday night. Something of a curiosity, a recording of the score from Simon's short-lived Broadway musical about Salvador Agron, a teenage gang member who became a poet and activist while on Death Row. There are some decent showtunes on here (Simon collaborated with Nobel Prize-winning poet Derek Walcott), but they don't really work out of context from the production that bred them. Recorded piecemeal over the course of four years with producer Brian Eno, Surprise is accurately named, a weird sonic departure from anything Simon recorded before or since. Eno's work with U2 was clearly an influence, and that more bombastic approach is seriously hit-or-miss: It occasionally underlines the elements that make Simon's songwriting great in the first place, but a lot of the time it just sounds goofy. Simon took a break from his world music explorations to crank out what might be his most disillusioned record, which is almost pathologically obsessed with glancing toward the past. It's merely a wisp of an album, though, so understated that it never totally registers. Bittersweet story-songs like "Darling Lorraine" and "Hurricane Eye" are standouts, while "Love" and "Pigs, Sheeps and Wolves" are rare Simon clunkers. Most everyone has probably forgotten about the 1980 film One-Trick Pony, which was written by and starred Simon as a folk musician who had huge successes in the '60s and was now struggling two decades later. What a stretch! This album that was released concurrently (though it's curiously not a soundtrack) is also mostly forgettable, with a couple of OK live tracks thrown in for good measure. Tracks you'll hear live: "Late in the Evening"
Minus its two big hits, Simon's third '70s solo record feels more like a collection of B-sides than a cohesive whole. ("Slip Slidin' Away" was initially considered for the album, and would've been the best thing on it.) It doesn't contain any outright duds, and there's a welcome cameo from Art Garfunkel on "My Little Town," but it's probably not a coincidence that Simon's critical cachet dipped a bit after this album. Tracks you'll hear live: "Still Crazy After All These Years," "My Little Town," "50 Ways to Leave Your Lover"
It's impossible not to compare this album to its blockbuster predecessor, Graceland, and while it's nowhere near as good, it's clearly a spiritual sequel. From the thundering African drums on opener "The Obvious Child" (one of Simon's very best songs), it delves deep into its international flavors, which sometimes feel more like affectation than anything else. Still, there's some interesting, tricky instrumentation going on here, even if it doesn't boast nearly as many unshakable melodies as Graceland. Tracks you'll hear live: "The Obvious Child," "Spirit Voices"
At the time of its release, this was Simon's strongest collection of songs since the '80s, and its success clearly reinvigorated him. Some of his ballads here are a bit drippy, but it also features clever tunes about the monotony of getting into heaven ("You've got to fill out a form first / Then you wait in a line"), the frustrations of songwriting and how life isn't so different from a made-up bedtime story. 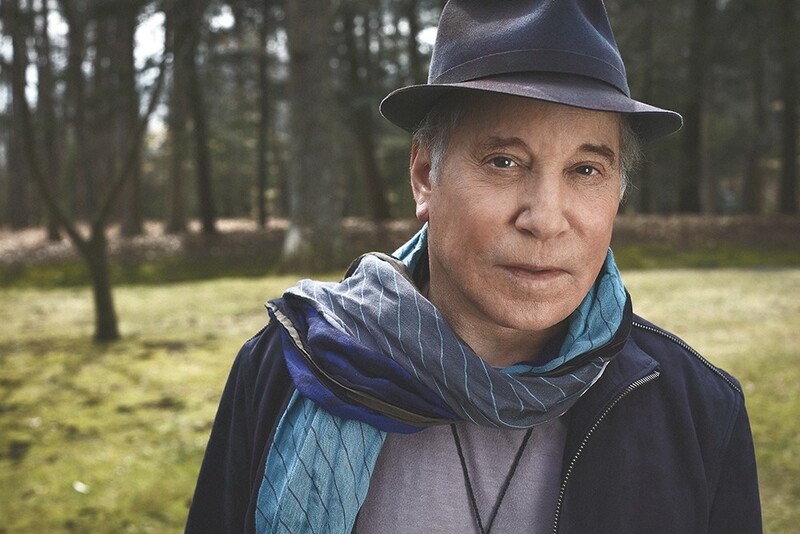 Tracks you'll hear live: "Dazzling Blue," "Rewrite," "Questions for the Angels"
Most successful artists who are comfortably into their 70s aren't as wily as Paul Simon, and his most recent album is a portrait of a veteran musician defiantly shirking complacency. As is the case with most late-period Simon albums (and, let's be honest, even some of his earlier ones), this one contains a few "oh, brother" moments — Simon casually dropping the F-bomb, for instance. But it's jittery, experimental and unpredictable, for better or worse. Tracks you'll hear live: "Wristband," "Stranger to Stranger"
This album's reputation as a flop precedes it (Simon is apparently not a fan of it himself), though it's not bad at all. Sure, it shows some of Simon's growing pains entering the synth-soaked '80s — "Cars Are Cars," for instance, is a desperate attempt at aping David Byrne-esque new wave — but strip it of some of its too-plastic production, and it's not far removed from Simon's earlier work. This one deserves critical reconsideration. Tracks you'll hear live: None, but check out "When Numbers Get Serious," "Think Too Much (a)" and "Train in the Distance"
Simon's second '70s solo effort was released a little more than a year after his first, and it's bursting with the creative energy of a songwriter finding his groove. Right from the opening moments of the wistful megahit "Kodachrome," Rhymin' Simon announces itself as a fresh new chapter in his discography: He's dabbled in doo-wop, R&B and New Orleans-inflected jazz for years, but this is where that experimentation started in earnest. Tracks you'll hear live: "One Man's Ceiling Is Another Man's Floor"
Following the underwhelming response to Hearts and Bones, the international flavor of Graceland represented Simon's popular and creative rebirth as an artist. He fully embraces Latin and African rhythms and then flips them upside down, and this Grammy-winning smash still sounds vital and is still just as controversial (allegations of cultural appropriation and plagiarism continue to dog it, and they're not unfounded) as it was 30 years ago. Tracks you'll hear live: "The Boy in the Bubble," "Graceland," "You Can Call Me Al," "Diamonds on the Soles of Her Shoes," "That Was Your Mother"
Simon's self-titled solo album still represents a remarkably confident statement of musical independence, and it's certainly one of the best, most evocative singer-songwriter records of the '70s. Its smaller, more intimate songs are all gems — unsung highlights include "Run That Body Down," "Peace Like a River" and "Papa Hobo" — and it also boasts some of the finest singles Simon ever wrote. To me, it's still his best album.